The Heart of Texas Bed and Breakfast Association Welcomes You! Welcome to Central Texas from The Heart of Texas Bed & Breakfast Owners Association. These B&Bs offer a pleasant alternative to the crowded and mass produced lodgings of more heavily populated areas. Each B&B has its own unique setting and offers pleasant, restful accommodations which range from basic to exceedingly comfortable. Our members offer a variety of amenities to make your stay memorable, whether your tastes are Victorian, contemporary, classic or country. By their very nature, B&Bs are as different as people, each with its own flavor, personality, and--best of all--its own host(s), and each and every one a special person. Our goal is to provide our guests with a total change of atmosphere from the usual environment, and our primary product is peace and quiet at an affordable price. The B&Bs in our organization vary in nature from lovely inns in town to quiet suburban B&Bs to peaceful B&Bs out in the country. For reservations or specific information, call the inn of your choice directly. Welcome to Waco - the home of Texas hospitality! 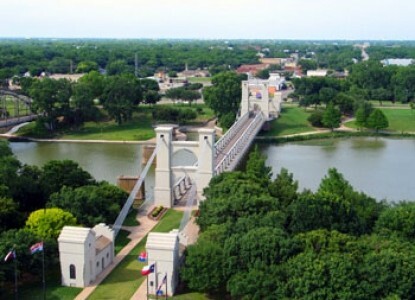 Located on I-35 between Dallas and Austin, Waco is famous for its taste of Texas history and hospitality. Waco's 18 museums and attractions offer a unique, relaxing getaway from big city hustle and bustle. Enjoy the revitalized downtown and restored warehouse district with restaurants, clubs, and specialty shops, as well as the scenic River Walk along the Brazos River. 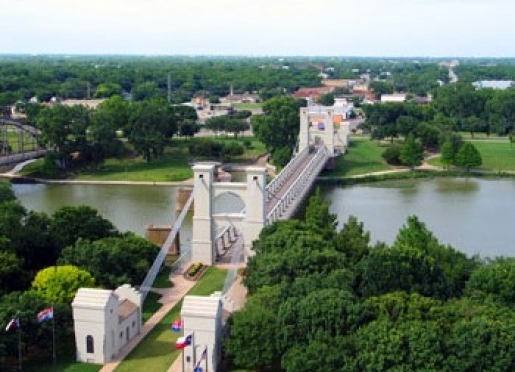 Official Waco, Texas Tourism Information - Hotels, Motels, Bed and Breakfast Inns, Attractions, Restaurants, Museums, Maps, Visitor Guides and more. The Heart of Texas Bed and Breakfast Owners Association was formed in the spring of 2000 to provide a network for owners and innkeepers of exceptional B&Bs. The Association is working to promote awareness of the benefits and advantages of staying in the area's Bed and Breakfast facilities located in Waco, McGregor, Crawford, Lake Whitney, China Spring, Hillsboro, West, Mexia, and Belton. Our goal is to provide our guests with a total change of atmosphere from the usual cookie-cutter hotel, with our primary product being peace and quiet at an affordable price. A place where horse & rider can relax. 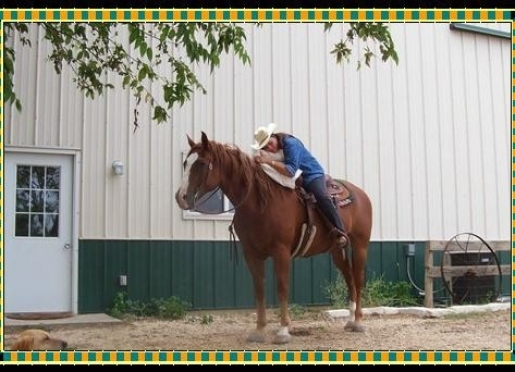 It is our desire to provide this facility for individuals with horse or ag-related interests, but our location and facilities could be attractive to anyone wanting to get away for awhile for some peace and quiet in the country. Horse stalls are available along with hay and water for your horses. Lakehaven is the perfect place for every occasion: family reunions, showers, business seminars, corporate retreats, receptions and especially honeymoons. We are down home country comfort with delicious food, gracious hosts, spectacular lake views and plenty to do . . . or not do. A restored 1889 vintage Victorian home, offering two impeccably furnished rooms with queen-size beds. One room is located on the first floor (private bath); the other is located on the second floor (shared bath). Also located on the second floor is a small, cozy bedroom with a twin bed. All bedrooms provide wonderfully comfortable reading chairs for indulging in a good book or for just relaxing. A distinctive turn-of-the-century restored three-story home with all of the amenities in 5 guest areas with private baths. Come be pampered with delicious food, crisp luxurious linens, and comfortable furnishings. Relax in the sun room and watch the birds, curl up on the sofa and read your favorite novel, or try your hand at the baby grand piano. Sandra Twitty has transformered early 1900's architecture into an inviting bed and breakfast cottage. Situated centrally on 54 acres of beautiful country landscape, this shabby chic style cottage features living area, two double bed sleeping accommodations, breakfast nook, antique furnished bathroom with full shower amenities, and hardwood floors throughout. Victorian charm, attentive hospitality, antique-filled rooms, and small-town relaxation await you at The Lighthouse Bed and Breakfast, now in our 20th year of serving B&B guests. Whether you prefer to take quiet walks, swing peacefully and sip cold drinks or coffee on the porch, or take advantage of an optional tour to nearby Crawford and President Bush's ranch. Enjoy the privacy of having the exclusive use of this comfortable and tastefully-furnished 3 bedroom, 2 bath home-away-from-home. Relax on the porch swings and delight in the scenic views of woods, seasonal creeks, and frolicking deer, birds, and other wildlife. Bear Creek Guest House is situated on a scenic and secluded 12-acre estate just minutes from Waco. A stay in our 1924 two-story Georgian home with your own room and private bath or in our 40's style Carriage House Suite will offer privacy plus all the conveniences of home, as well as a full breakfast. Dining room and parlor facilities available for small gatherings or meetings. Located on a quiet, beautiful street that was once in Waco's "silk stocking district," plus a swimming pool. Creekside Garden Bed and Breakfast offers a quiet retreat in the city. Located in Central Waco, this vintage one storey home with 12 foot high ceilings and original woodwork offers 3 guest rooms each with private bath. Stroll along the sidewalks of the nearby neighborhood of Waco's grand old homes or relax in one of the two large parlors, both excellent for reading and conversation. Relax in the comfortable, charming surroundings of our 1913 Arts and Crafts home built by a prominent Waco family, the Spencers. The Camille House Bed and Breakfast was built in the 1920’s but provides the accommodations of the 21st century. It's perfect for a romantic getaway or a cozy overnight stay while visiting the many attractions in Waco including Baylor University, the Cameron Park Zoo, Waco Mammoth Site, the Dr. Pepper Museum and the revitalized downtown area. 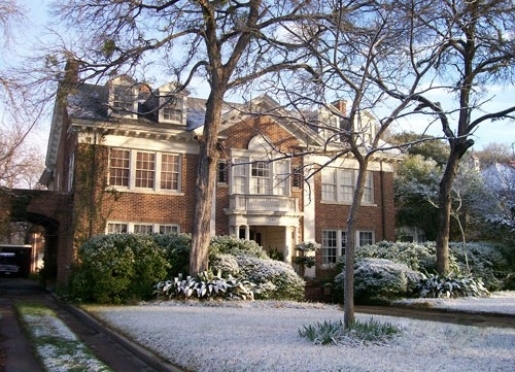 Central Texas' premiere bed and breakfast - old Southern charm wrapped in 21st century luxury and amenities. 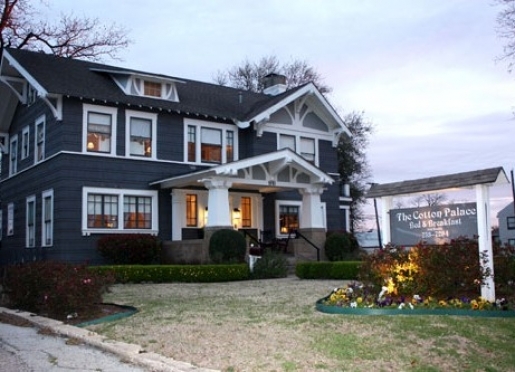 The 1910 Arts and Crafts style bed and breakfast has been completely renovated to showcase the exquisite woodwork and design of Waco's premiere architect, Roy Elspeth Lane. The Cotton Palace Bed and Breakfast is your retreat--whether staying for business or pleasure.